There’s the allure of working overseas. The adventure and excitement of a job in foreign lands, not to mention the excellent pay and benefits on offer in some industries. But truth be told, most Aussie expats are fully aware of how good life is back home, and what extraordinary potential our country holds. These are just some of the reasons why we’ve seen a flurry of overseas Australians looking to invest back here. Apart from the emotional draw of family and friends, there's also the familiarity of investing in a nation you know and love. 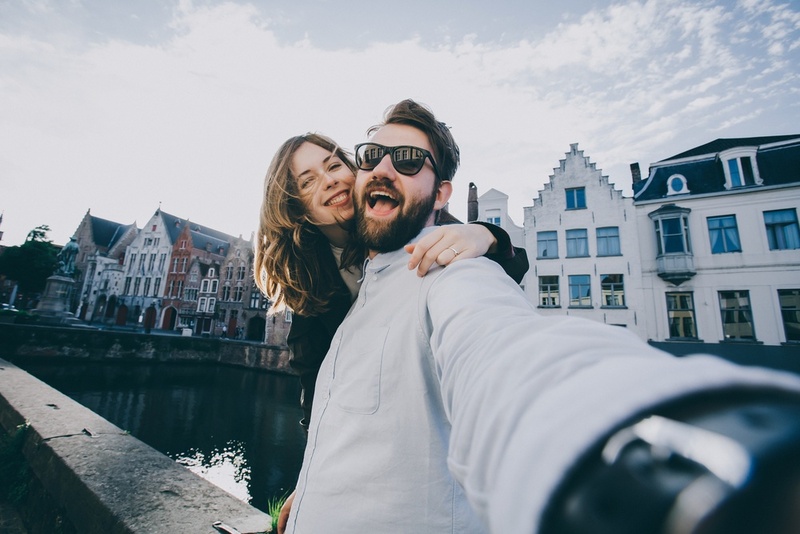 It’s a place in which, despite your current overseas location, you’d probably like to return to one day, and real estate is an excellent option and safe guard for building wealth. As an expat, you’re probably staying up to date on local news and seeing reports about steady price growth, exciting infrastructure projects, booming populations and tightening in the supply and demand equation in many of our capital cities. Buying in Australia is an idea worth exploring, for sure, but for locals who’ve been away for a stretch there are extra hurdles to handle. Here are the things to be aware of before you become an expat buyer. Shopping online is fantastic. These days, you can get whatever you want from around the world, without having the leave the comfort of your couch. The transaction is painless, the delivery expedited and the risks minimal. If it doesn’t fit? Exchange it! Not the colour you thought? Send it back. Changed your mind? No problems. Needless to say, buying a property is not even remotely similar. Obviously, you can shop online for real estate. The quality of information contained in online sales listings is incredible. High quality images, to-scale floorplans, interactive tours, three-dimensional modelling… you don’t need to physically be at the property to feel like you’re there. The listings also contain some surface level research, like recent comparable sales, the suburb’s price profile, local amenities and the like. All of this content can give you the sense that you’ve done your homework. But it’s not that simple. A proper, comprehensive due diligence can’t be done virtually. There’s nothing that can replace a physical inspection to scope out pros and cons – signs of gentrification, development activity that’s very good or very bad, street appeal and the types of neighbours you’re inheriting are factors you can’t glean from a web ad. A local inspection can reveal if a property is overshadowed by neighbouring blocks or has sufficient privacy or has the right aspect. Those wide angle or zoomed in pictures on the internet may hold a different reality in the broad light of day. There was a story years ago about a dentist who bought an investment property in the US city of Detroit based purely on an online listing. It looked fantastic. It seemed to be in a nice area. And the price was a steal! But things weren’t as they seemed. The dentist hadn’t done his due diligence, because he would’ve realised the city was, at that point, in the swing of a mass exodus of residents, the collapse of its local economy, a crime spree and a flattening of property demand. The house itself was a dump that’d been occupied by squatters. The pictures were from several years earlier. The nice neighbourhood had become a shanty town of sorts. And while it looked like an online bargain, it was still tens of thousands of dollars for essentially nothing where he was unable to collect rent or even safely move in! The solution is to have a local representative check out your prospective purchase on your behalf. Better yet, have them supply alternative, more competitive purchase options so you can make a more informed investment decision. A major challenge for overseas expats is time zones. They’re a killer! Just ask anyone who’s arrived here and spent their first week battling jet lag. Australia is on the opposite side of the clock to just about everywhere in the world, and it makes negotiating a property deal very tricky. The turnaround on email replies can be up to 24 hours, seriously slowing things down and putting you on the back foot in a competitive scenario. Getting your broker, agent or lawyer on the phone is a nightmare unless you’re willing to stay up until midnight, and signing and returning paperwork can be tedious to say the least. In a situation where there’s more than one buyer, and a vendor who’s not willing to mess about, chances are the time difference will cost you. Once again, a fully informed local representative with authority to act on your behalf can mean the difference between jagging a deal or missing a bargain. When you’re buying an investment property at home and hoping to secure finance from an Australian bank, it’s important to work with a broker who has experience in these types of arrangements. You might have a high-flying and well-paying job in London or New York, but it’s not as simple as sending in your pay slips and hoping the bank sees how attractive you are as a loan candidate. You need a finance expert who knows how to deal with foreign currencies and incomes and who knows which lender is suitable. And you, as the buyer, need to be aware of the various fees you’ll be stung when it comes to converting that foreign money to Aussie dollars. Many expats have intentions of only being away from home “a few years” – but the benefits of earning higher incomes, lower tax rates, ability to travel and the lure of expat lifestyle typically means they are away 7 to 10 years. This is coincidently the same time frame as most property cycles and means that expats while filled with good intentions to buy a bolt hole back home, end up delaying the decision and as a result miss the capital growth cycle. A buyers’ agent on the ground at home can be your advocate when it comes to sourcing, inspecting and buying a property. If you’re time poor and you can’t devote enormous energy to scrolling through countless property listings in suburbs that have no doubt changed significantly since you knew them, enlist an expert to do it for you. They know the ins and outs of not just the suburb, but the region it sits within. They’ll know whether a property is a sound investment, if its dwelling type is a plus or minus in the local scheme of things, and what the prospects are for the future, to name just a few kernels of valuable knowledge. When you’ve found the place for you, they can handle every single detail of the negotiation and purchase process. That leaves you to get a good night’s sleep, knowing that while you snooze, your well connected, highly professional buyers’ agent is making it happen on your behalf back home.